Have You Been Charged With Domestic Violence In New York? Nassau County Takes Domestic Violence Seriously! FIGHT YOUR DOMESTIC VIOLENCE CHARGE WITH AN EXPERIENCED NASSAU COUNTY CRIMINAL DEFENSE LAWYER! New York takes all domestic violence incidents seriously. In fact, New York has implemented a “mandatory arrest” law for all domestic violence offenses. This means that, if a domestic violence call is placed, responding law enforcement personnel are required to arrest you if they have probable cause to do so. Even if the individual who is alleging violence declines to press charges, as long as there is probable cause, you will be arrested. In addition to your arrest, with or without the alleged victim’s cooperation, the state can choose to prosecute you for domestic violence. Fighting domestic violence charges can be a tricky legal battle to navigate alone. With the help of The Law Offices of Michael H. Ricca P.C., however, you can rest assured that you have the best criminal defense attorney on your side. Between individuals who have entered into an intimate relationship, regardless of whether they live together or not.  In other words, New York’s domestic violence laws apply to physical or threatening actions that occur between individuals who share a kinship or affection for each other, regardless of whether they are or were married, separated, or simply dating. In New York State, domestic violence does not fall under one specific charge. Instead, domestic violence charges are made up of a collection of general offenses that occur between persons who meet the above relationship criteria. In general, assault, menacing, stalking, and strangulation offenses that occur between individuals who are members of the same family or household may elicit a domestic violence charge.  As you read through the below New York Penal Law offenses, it is important to remember that each will fall within different categories of crimes. Misdemeanors: For some, you may be convicted of a Class A or Class B misdemeanor. Misdemeanors, by New York definition, are crimes that may result in jail sentences that range from 15 days to up to 1 year. Felonies: Others may result in a violent felony charges. New York classifies serious offenses as Class A, B, C, D, or E felonies. Class A felonies are considered those crimes that are most heinous, including offenses such as predatory sexual assault, murder in the first degree, and kidnapping in the first degree. By definition, a felony is any charge that may result in 1 or more years of incarceration. Because of the various classifications domestic violence offenses may fall under, the potential consequences of a conviction will largely depend on the specifics of your case, as well as the actual charges. In addition to this, it is important to note that New York increases the penalties for repeat offenders. If you are arrested multiple times for the same types of crimes, or have a prior felony record, you can expect your charges to be elevated. What may have been a Class A misdemeanor for a first-time offender may become a Class E or Class D felony for those who repeatedly break the law. Assault in the first degree is the most serious assault charge you can face. If law enforcement believes you have intentionally caused injuries to another, with or without a dangerous instrument, with depraved indifference, you will find yourself arrested for a Section 120.10 offense. Assault in the first degree is a Class B felony. It is also considered a violent felony, meaning it will result in more serious consequences if you are convicted. You should note, however, because this is a Class B felony, it is very unlikely that a conviction will not result in a prison sentence. Assault in the second degree is a violent crime. As such, violating Section 120.05 is considered a Class D felony. If law enforcement believes that you intentionally seriously harmed another individual, with or without the use of a dangerous weapon, you may find yourself charged with this crime. If you are convicted of assault in the third degree, you have been found guilty of a Class A misdemeanor. To be convicted of this, the court must believe that you caused a personal injury to another person intentionally. Section 240.30 refers to harassment that goes beyond simple annoyance. In order to be charged with this crime, you will have to initiate any type of communication with another, including telephone, email, verbal, or other such method, with the intention of harassing or threatening them. Aggravated harassment in the second degree is a Class A misdemeanor. While this charge is often made in tandem with other offenses, such as menacing or assault, that does not mean you cannot be charged solely with this crime. Criminal contempt is not just a domestic violence crime, however, it is often associated with these types of violations due to the use of Orders of Protection meant to keep victims safe. An Order of Protection is a victim’s first legal line of defense. These orders often prohibit communication of any kind. They also provide a specific boundary around a victim that aims to prevent physical contact of any type. As such, New York State takes violations of an Order of Protection seriously. If you knowingly violate an Order of Protection and attempt to intimidate a victim through threats, menacing or assault, you can be charged with this crime. A Section 215.51 violation is a Class E felony. If you knowingly disregard any part of an Order of Protection, you can be charged with criminal contempt in the second degree. Criminal contempt in the second degree is a Class A misdemeanor. Aggravated criminal contempt occurs when you not only disregard an Order of Protection, but also intentionally or recklessly injure the person under its protection. This is the most serious type of contempt violation under the domestic violence umbrella. To be convicted of a Section 215.52 violation is to be found guilty of a Class D felony. Engaging in conduct, without a legitimate purpose, that will likely cause a person to have a reasonable fear of harm from you is considered stalking in New York. While many imagine stalking to simply mean following someone, this is not necessarily the only way to commit this crime. Calling repeatedly, attacking online, and other such measures can also be classified as stalking in the fourth degree. Stalking in the fourth degree is a Class B misdemeanor. A stalking in the fourth degree charge can be elevated if your behavior meets certain criteria. If you stalk at least 3 people over the course of 3 different events, you may be charged with stalking in the third degree. If you have previously been convicted of certain crimes within the past 10 years of a stalking event, you may also find yourself with a Section 120.50 charge. If the alleged victim and a member of their immediate family have a reasonable fear that you intend to harm, kidnap, imprison, kill, or sexually assault/molest them, expect to be charged with this crime. A Section 120.50 violation is considered a Class A misdemeanor. If you use or threaten to use a weapon during the course of a stalking in the third degree offense, it will elevate the severity of the crime, making it a second degree violation. Stalking in the second degree is a Class E felony. Menacing charges are often made in addition to stalking or assault charges. Menacing in the third degree occurs when you intentionally attempt to cause another person to be in fear of death or serious injury. Violating Section 120.15 of the New York Penal Law is a Class B misdemeanor. Like a Section 120.15 violation, menacing in the second degree occurs when you intentionally cause a person to fear that you may kill or injure them. The difference, however, is that a second degree charge also includes the display of a dangerous instrument, or an item that appears to be lethal. Even if you do not include a weapon, repeatedly attempting to cause this type of fear in a person is also considered a second degree menacing violation. Disregarding an Order of Protection to menace is another way to violate this law. Menacing in the second degree is a Class A misdemeanor. Intentionally attempting to block a person’s ability to breathe normally or circulate their blood is a crime. Whether you use your hands, pillow, cord, or any other object, applying pressure to the throat or neck or blocking their nose or mouth, you may be charged with violating this law. If you are convicted of a Section 121.11 violation, this means you have been found guilty of a Class A misdemeanor. Similar to a Section 121.11 violation, strangulation in the second degree takes the attempted obstruction of breathing to another level. If the victim losses consciousness in any way, falls into a stupor due to your obstruction of their airways, or suffers from a physical injury as a result, you may face a Section 121.12 violation. Strangulation in the second degree is considered a Class D felony. There are two ways in which you may violate this law. If you knowingly act in a way that is likely to result in a way that will mentally or physically affect a child or their moral welfare, you may be charged with a Section 260.10(1) violation. Additionally, if you have legal custody or guardianship over a child and fail to exercise reasonable diligence with regards to that child in a manner that will prevent he or she from becoming an abused or neglected child, you may face a Section 260.10(2) charge. Endangering the welfare of a child is a Class A misdemeanor. Now that you understand the laws that fall under the umbrella of domestic violence and their classifications, it is important to understand what consequences are associated with each. Please note, while reviewing the below table, since New York recognizes a difference between non-violent and violent crimes, the potential minimum sentence varies per classification. These differences are indicated by NV (non-violent) and V (violent) below. Probation is mandatory in cases of felony offenses. However, for misdemeanors, it may be given in place of jail time. The length of your probation must be in accordance with the New York Penal Law, Article 70. For serious offenses, however, you can expect a mandatory probation period of 5 years. 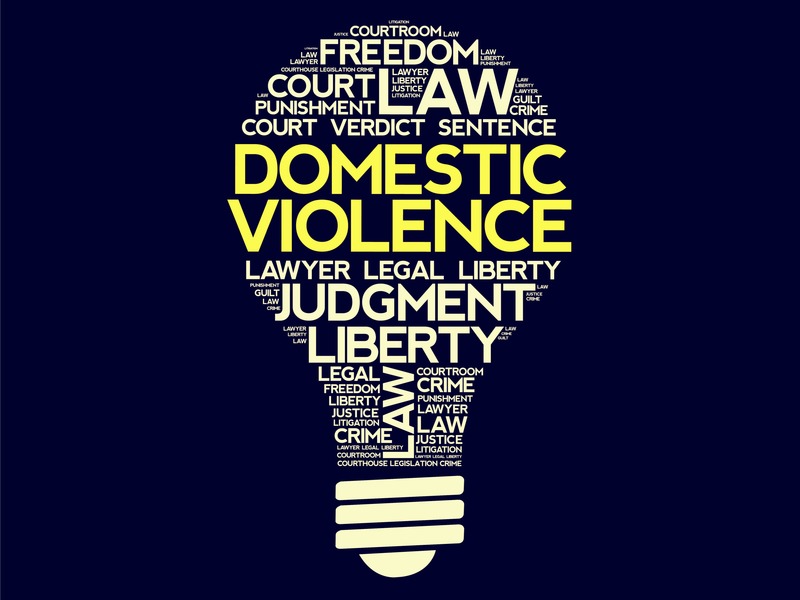 FIGHT YOUR DOMESTIC VIOLENCE CHARGES WITH THE LAW OFFICES OF MICHAEL H. RICCA P.C. As you can see, there are many crimes that fall under the domestic violence umbrella. If you have been charged with any domestic violence violations, it is essential that you seek legal counsel immediately. Contact The Law Offices of Michael H. Ricca P.C. today for a free consultation regarding your domestic violence charges!